With the approach of a new school year, students are getting ready to move gear into all manner of housing arrangements, from singles to suites, from traditional dorms to Frye Street houses. 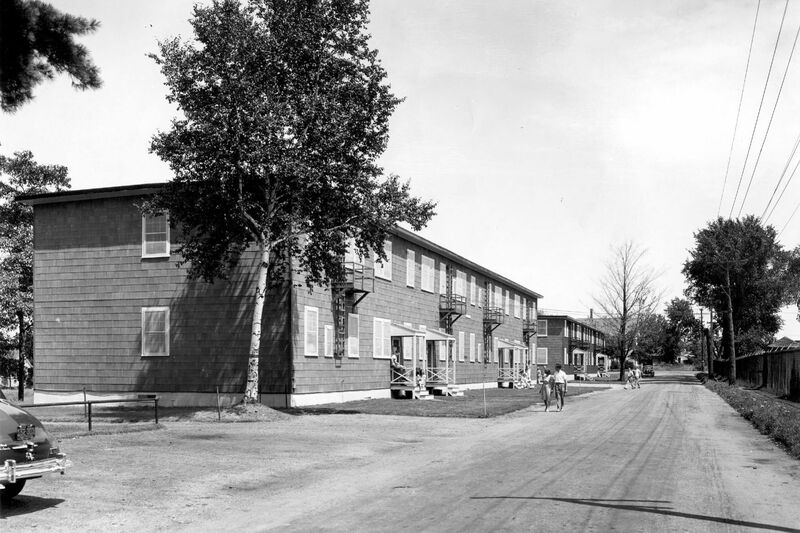 Seventy-two years ago, Bates debuted a housing option that remains unique for its arrangement and occupants: on-campus, apartment-style living for war veterans and their families. As veterans returned after the war, the federal government established the Veterans Emergency Housing Program to deal with an acute shortage of housing. As part of that program, the feds helped Bates construct three apartment houses on campus. The deal was this: If Bates did foundation work and installed utilities, the feds would “build” the apartments. 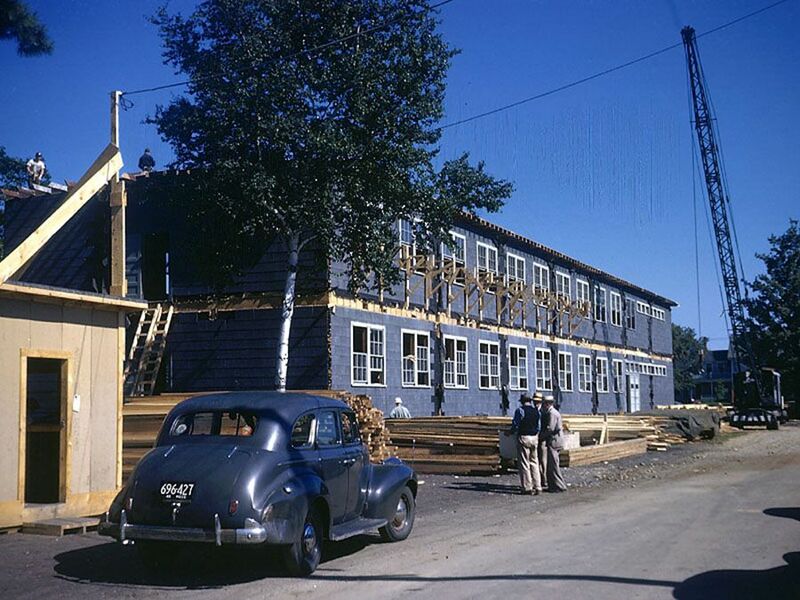 So it was that over the summer and fall of 1946, three former Navy barracks at the Auburn-Lewiston Airport were dismantled, trucked from Auburn to Bates, and reassembled at the corner of Bardwell and Russell streets, where Wentworth Adams Hall and Olin Arts Center are now. They were ready for occupancy by winter. The three barracks comprised 40 apartments: 14 one-bedroom apartments, 24 two-bedroom, and two three-bedroom, with monthly rents of $38.50, $45.50, and $52.50, respectively (including utilities). Cheap, perhaps, but veterans’ finances were tight. The GI Bill provided $500 annually for books and tuition at a time when the Bates tuition approached that figure, plus just $120 monthly in living expenses for married couples with a child. 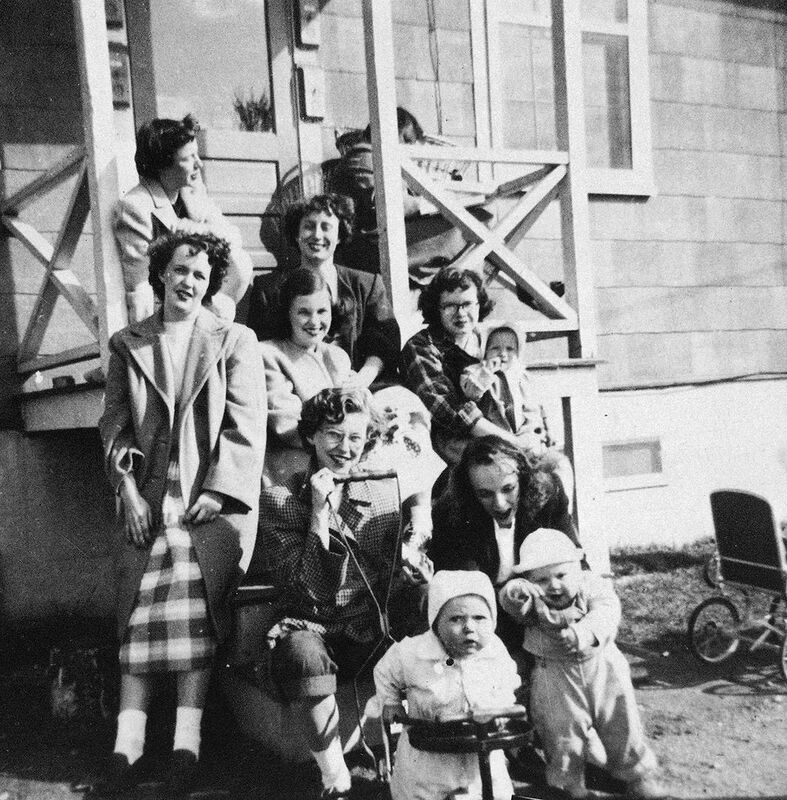 And were there children: A May 1947 tally showed 26 young baby boomers in the three apartments, named Garcelon House, Bardwell House, and Russell House and collectively dubbed “Sampsonville,” after the benevolent Bates administrator/landlord, Charles Sampson. “The men studied and the women worked,” often taking a part-time job in Lewiston. Not that the families were inclined to party or seek out traditional college fun. This was the Greatest Generation, eager to create and re-create lives and families. For veterans who enjoyed the fun and games of college life before the war, it was a 180-degree mindset change. After the war, “it was business, not monkey business,” said Ken Baldwin ’45. 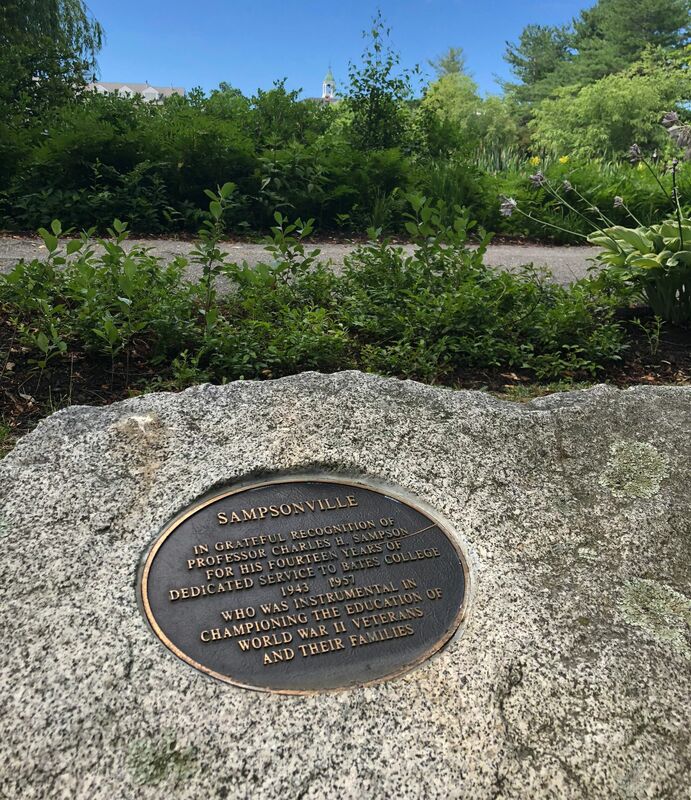 “The people of Sampsonville were serious and dedicated in their pursuit of an education,” the Norrises wrote. Charles Sampson was the benevolent Bates staff member who took care of the apartments and their residents. Sampson wrote a mimeographed newsletter that could gently scold residents for not emptying refrigerator pans (they’d overflow and leak into the apartment below) while at the same time report on baby showers, new births, and day-to-day events. The veterans and their families came and went in a few years. There was another modest increase after the Korean conflict, but the era of the married Bates student was soon over. In fact, the college would for years later, in policy and practice, discourage the enrollment of married students or the marriage of current students. Sampson himself retired in 1953. 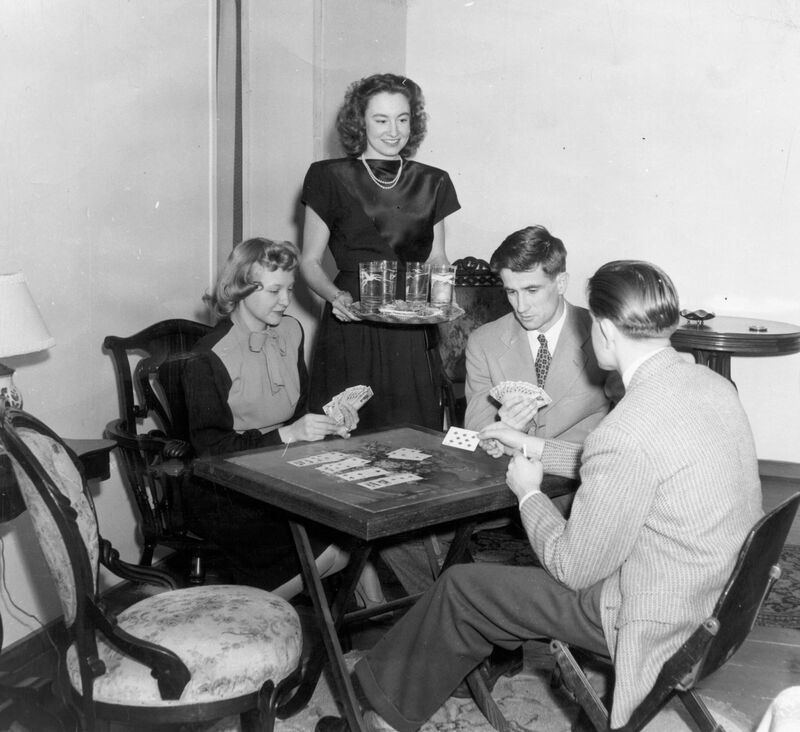 Later in the ’50s, Sampsonville offered housing to faculty couples and single students (men only). But with construction of Page Hall in 1957, which increased the number of student beds on campus, and Sampsonville’s growing need for maintenance, the old barracks became expendable. 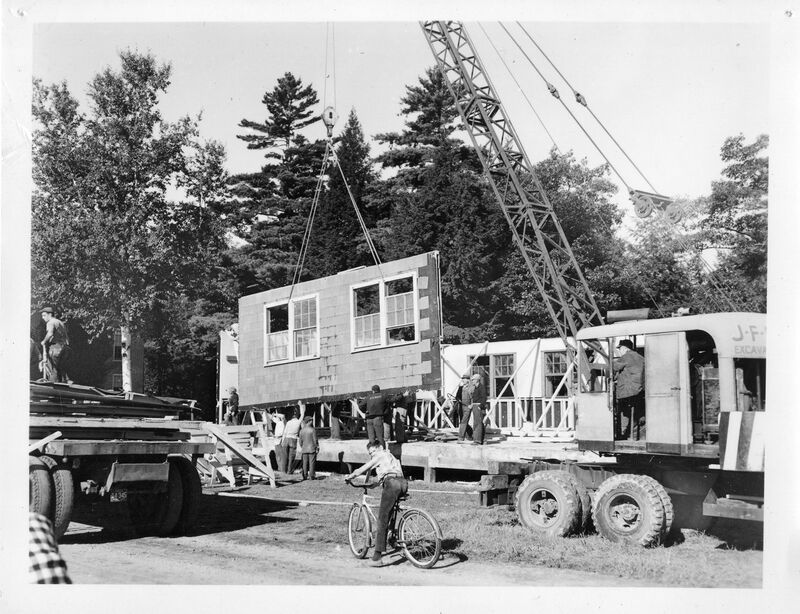 By August 1957, about a month after Sampson’s death at age 74, Bates had begun to tear down and remove the buildings.